blushing basics: Urban Decay NAKED Smoky Is Here! Urban Decay NAKED Smoky Is Here! this posts sponsored for Urban Decay through Condé Nast however all thoughts, opinions, tutorials are my own. 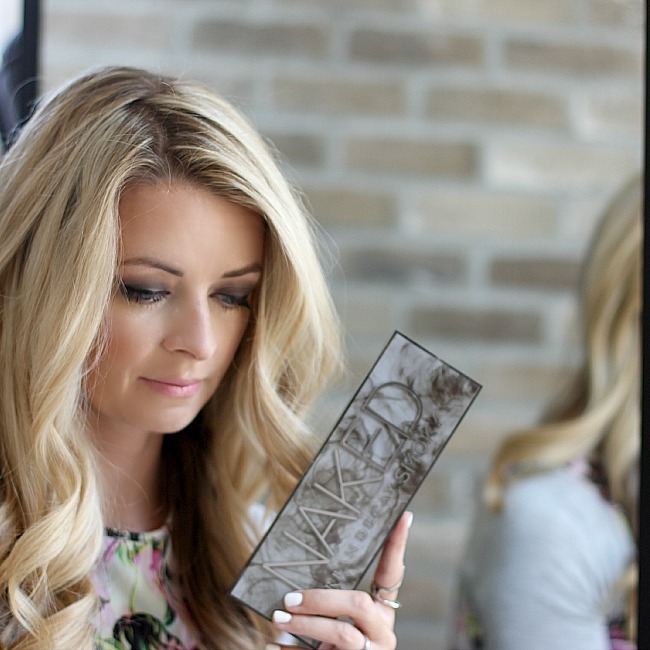 Urban Decay's new NAKED Smoky palette is here and who is super excited about it? this girl. i am a firm believer and consistent user of the Urban Decay eyeshadows. their color pigment is perfection, they have true staying power - i can attest to this firsthand. i went boating and my eyeshadow was still perfectly intact even after several wipeouts on the surfboard! Urban Decay eyeshadow comes at a price point that is affordable and a quality that is enviable. every day i pull out my NAKED 2 palette while getting ready. the color variety is awesome for natural everyday looks however the new NAKED Smoky palette provides options to help you achieve the most elusive and most sought-after eye look - the smoky eye. 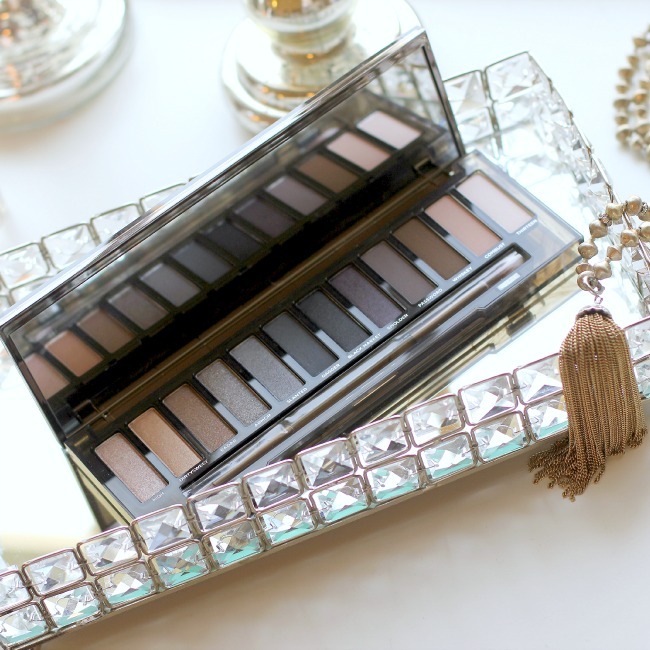 Urban Decay's NAKED Smoky palette is filled with all the essentials for a perfect smoky eye. there are a dozen shades to help you achieve your favorite look including nine never-before-seen shades and three exclusives. try mixing your bronzes with your grays for a winning combination or gorgeous taupes with deep blacks. the palette includes different finishes from mattes to satins and great shades with sparkle for highlighting. a great smoky eye includes warm and cool shades, a mix of mattes and shimmers and lots of blending. this palette provides you with all of those essentials! included in the palette is a double ended brush for your application ease. the domed end helps apply large areas of color as well as works well for blending. the smaller pencil tip end helps for precise application of color around your waterline, the inner corner of your eyes, highlighting your brow bone and more. below is a simple, no-fail, step by step tutorial of how to achieve your smoky eye in seconds with the new NAKED Smoky palette. Step ONE: Apply darkest shade from lash-line to crease. i chose 'Smolder'. Step TWO: Apply a warmer shade to blend upwards. I used 'Whiskey'. Make sure to BLEND, BLEND, BLEND! Step THREE: Finish with a highlighter. I used 'High' to highlight the inner corner of my eyes and brow bone. above is the finished look. so simple and easy to achieve and always a show-stopper. be sure to pick up your own NAKED Smokey palette so that smoky eyes are right at your fingertips! you can find the NAKED Smoky palette at Sephora, ULTA and select Macy's stores or online at sephora.com, ulta.com, macys.com, beauty.com and urbandecay.com. pricing is $54 for the palette.